Mankind can do absolutely nothing about the climate until we can control the sun. Used to be known as Anthropogenic Global Warming, now known as Climate Change but should be known as Taxation Scam. Copies of this have been sent to several Warmists including George Monbiot at the Guardian and Dr Brian Cox at the BBC asking that if they see any inaccuracies they inform me. I have bet them a crispy £tenner they cannot. To date I have had not a single adverse comment. We can, therefore, assume they agree with the following and they each owe me a crispy £tenner. The Global Warming debate can be very academic and riddled with miss understandings, half truths and downright lies. In 2018 Ships in the North and South poles stuck in unusually thick ice. The output of the UN and IPCC are classic examples of Lysenkoic Science. Global warming is indeed man-made – by cod scientists and fraudsters at government agencies who tamper with data. If you think fossil fuels kill people, just stop using them and see how long it takes nature to kill YOU. 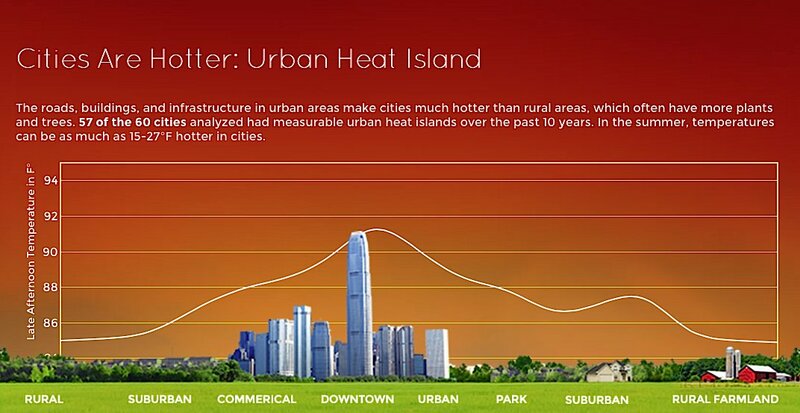 Heat pollution caused by concrete and paved roads acting like storage heaters or heat banks has created the Urban Heat Island which in turn allows the BBC and Met Office to fake global warming. Temperatures mainly recorded in cities. If, as the Climate scientists claim ‘the science is settled on Global Warming’ then there is no longer any need for climate scientists. Presumably all their departments will close down and they will all have to get proper jobs. Dr. Patrick Moore was right: @Greenpeace IS full of sh*t | Watts Up With That? I’ve never had a headline like this, but Greenpeace deserves it for their mind-bending defense in a defamation lawsuit: basically their defense is “we publish hyperbole, therefore it isn’t actionable because it isn’t factual”. GMAFB! see also 2015 – 134 Carbon Dioxide in a Nutshell There is within the Green Movement a desire to reduce atmospheric CO2 to zero which will kill all plant life. Also type CO2 into search box to see why we need more CO2 not less. The day Al Gore was born there were 7000 polar bears on Earth. Today, only 26,000 remain. If the wind is free how come the Merchant Marine no longer use sailing ships? ◾The first 770 metres is Nitrogen. ◾The next 210 metres is Oxygen. That’s 980 metres of the 1000 metres. 20 metres (66 feet) to go. ◾The next 10 metres are water vapour. 10 metres (33 feet) left. 9 metres is argon. Just 1 more metre (3 feet). A few other gases, ozone, neon etc, make up 620mm of that last metre. ◾The last 380mm is carbon dioxide. 96% of that is produced by Mother Nature. (fermentation, bush fires and volcanoes, much of it underwater). The recent Icelandic Volcano negated all the UK efforts made by us to reduce CO2. ◾Of our journey of 1000 metres just 15 millimetres are left – about half an inch. That’s the amount of carbon dioxide human activity puts into the air. Of those 15 millimetres the UK contributes about 4% or 0.6mm of the 15 milimetres. The thickness of a credit card. ◾Any increase of the CO2 level in the atmosphere will increase the yield of wheat per acre . ◾As a rough example the CO2 from one ton of jet engine exhaust could become an extra 1,500 loaves of bread. ◾Reducing the CO2 level will give a lower yield of food per acre. Halve the CO2 level that we have now and it is estimated to just about extinguish most of the life on earth. ◾We now come to Dr Michael Mann’s infamous Hockey Stick Curve. These Lysenkoist claims that CO2 levels have increased to dangerous levels since 1750 causing Global Warming. Mann’s paper was based on tree ring growth and a set of data and codes that he has refused to make public. His paper was published in Nature – one of the most respected scientific journals. Such journals always require that all data related to a paper must be put into the public domain to enable other scientists to repeat the claims to confirm them. Nature published it anyway – a very strange and unique decision by the editor that has seriously damaged its reputation. The Hockey Stick Curve requires the removal from the historical record of the Medieval Warm period and the Little Ice Age in 1700s when the Great Frost of 1683–84, the Thames was frozen for two months, with the ice 11 inches (28 cm) thick. ◾There is considerable excitement among the Green Ecotards because it seems that the Greenland Ice Sheet is melting. This, they claim, is proof positive that we are now seeing the results of Global Warming due to man. Unfortunately The Antarctic ice is increasing in area and thickness. An expedition the measure the thickness of the ice to show how thin it is due to AGW and their ship got stuck in near record thickness. ◾However, in the year 982 AD a rather turbulent Viking Erik the Red sailed west and found a green land covered in lush grass which he called ‘Greenland‘. He then began to colonise Greenland. It was then green with grass and virtually no ice. Over next four or five hundred years the colony built up to over 4000 – 5000 people with over 500 farms and was more or less self sustaining. The ice returned at the beginning of the Little Ice Age and the colony then failed. During this period there were no cars, factories, central heating or other significant sources of man made CO2. ◾According to A.W.Montford, an expert in statistics, the mathematics Mann used would give a hockey stick curve if numbers were randomly taken from a telephone directory. ◾Although now thoroughly discredited the Hockey Stick Curve is still used, and regularly quoted, by the Environmentalists and Ecotards as if it were valid. ◾The Greenhouse Theory is based on reflected infra-red radiation from the earth vibrating the CO2 molecules and heating them up. There amount of CO2 in the atmosphere is far to small to have any significant effect. CO2 is not a ‘Greenhouse’ gas. Methane is by far more significant. ◾So why is there so much political excitement (bordering on hysteria at times among the Ecotards?) to reduce the CO2 level in our atmosphere despite the overwhelming objective evidence that it is not a significant problem? ◾It was started by The Club of Rome (2014 – 011) who wanted a world wide scare story as a means of persuading people to give up many freedoms ‘to save the world’. The cod science of Dr Mann and his now thoroughly discredited Hockey Stick Curve was a godsend the them to prove ‘Global Warming due to Man’. This charade has been continued, by somewhat panicky and very arrogant ‘Environmentalists and Intellectuals’ with rather narrow agendas. They are driven by their passionate contempt for the industrialised society and intense pique with the increasing consumerism of the lumpen public. There is also a lot of money involved. Many Gov grants to academics who wish to ‘prove’ AGW but none to those who wish to disprove it. ◾They have achieved considerable influence with their fellow ‘Intellectuals’ and politicians, whose understanding of science seems limited to say the least. ◾It is also a very good ‘scare’ story to keep the public in a continual state of anxiety and easy remove more Individual Freedoms – to save the world and impose spurious extra taxes. ◾The Environmentalists have invested so much personal reputation in the Greenhouse Gas scare now that it is nigh on impossible to admit they have grossly overstated the problem or if there is one at all. ◾Many Industrialists certainly continue to fuel this alarm. However their ‘crime’ is essentially pollution and despoiling the environment – not CO2 emissions. ◾It is a wonderful excuse for politicians to slap on extra charges on the public ‘to save the planet’. They are essentially Stealth Taxes. The taxes on airlines do absolutely nothing to reduce the CO2 output from jet engines or ‘Global Warming’. ◾The Carbon Trading Market is potentially worth trillions of dollars – as long as the governments can regulate and enforce Carbon Trading into general existence. Even at this early stage Carbon Trading is plagued with fraud. ◾The Intergovernmental Panel on Climate Change (IPCC) of the United Nations is packed with personnel who have significant financial interests that rely on the ‘CO2 problem’. 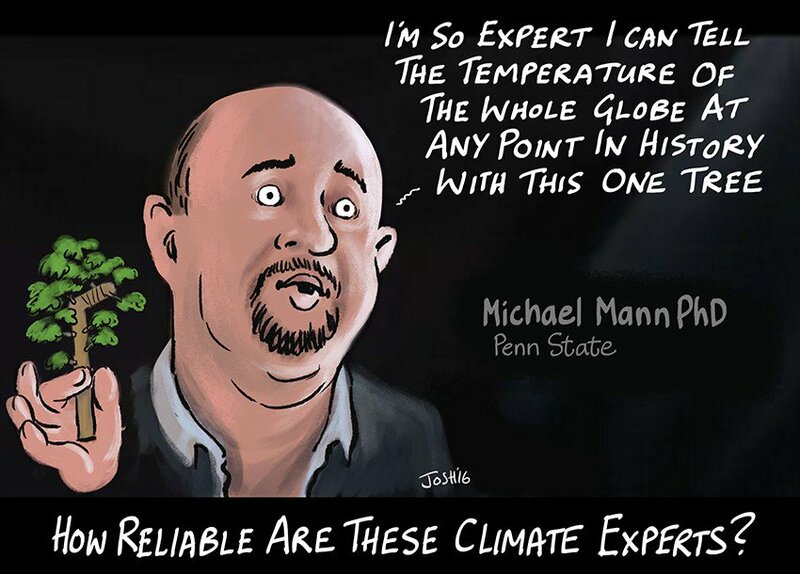 ◾The IPCC have a floating coterie of some 2000 experts who promote AGW and vilify anyone who disagrees with them. Actually it seems that most, by far, of their experts are Environmental Activists. Many of the true scientists are very angry that their input into the IPCC Report on Global Warming was ‘manipulated’ without their knowledge. ◾The IPCC and politicians are energetically lobbied by commercial companies who are now heavily committed to producing equipment to reduce the level of CO2 in the atmosphere – windmills, stripping CO2 from exhaust gas etc. ◾Many Universities are reliant on generous grants for research to ‘prove’ that AGW is valid. Investigators who wish to demonstrate that AGW is of very minor significance do not get grants and are ostracised by the controlling AGW scientific community. 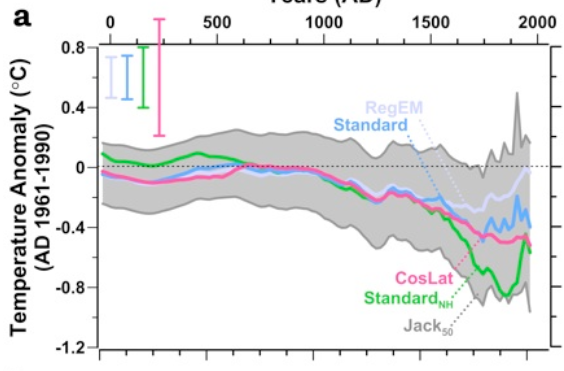 There is now a move among the academic Warmists to have the Medieval Warm period removed from the historical record as it is an embarrassing contradiction to their Hockey Stick. A most remarkable position for so called scientists to take. ◾The BBC Pension Fund has some £8 billion invested in CO2 Trading. The AGW bubble is beginning to leak badly and when it finally bursts that pension scheme will take a devastating hit. To save their pension fund they will not allow any programme that does not support the Global Warming myth. ◾The BBC has a coterie of some 20-30 Ecotards who hold secret meetings to decide the BBC policy on Climate Change. Is there Global Warming/Cooling? Yes – of course there is. ◾Short term heating and cooling is caused by the varying energy being emitted by the sun, the effect of cosmic rays on cloud generation and the position of the earth to the sun. ◾Long term is overwhelmingly due to how the earth orbits around the sun and the varying gravitational pull of the planets. ◾Will any of the ‘green’ taxes imposed on us by our governments do anything to change this? Not on your life! Just as King Cnut knew he could not turn back the tide so the AGW Environmentalists, Intellectuals and politicians cannot alter the orbit of the earth. They are pushing our country further into terrible debt trying to do so. 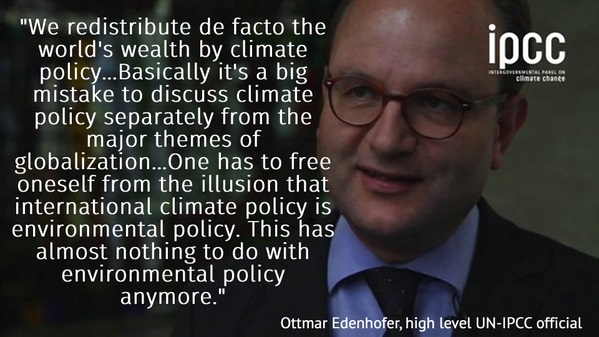 The Global Warming Crisis is an invention of the Club of Rome (see 2014 – 002)to generate a crisis that can be used to persuade the public to accept the loss of personal freedoms and more government control ‘to save the planet’. The big worries we really have are overpopulation, pollution and waste. The Earth can probably cope with about 2-3 billion people so we can all have a decent lifestyle. Even now at 6 billion, and rapidly heading for 10 billion, we do not have enough raw materials and clean water nor safe land to live on, grow food on and keep undeveloped for wildlife. The money and assets wasted on mythical Global Warming should be spent on dealing with waste and pollution. They are the real threat. The solution proposed seems to be for our energetic Western society, with its contracting population, to drastically reduce our lifestyle. Much of it can then be transferred to the third world with their unbridled expanding population. Unfortunately much of the Western energy is being drained out of us by over regulation by unelected and unaccountable bureaucrats. Any reduction in lifestyle will not, of course, be suffered by the Elite Politique – just us lumpen public. This ‘solution’ will not last long. The exponential increase in population will soon overtake it and even more unsafe land will have to be used. This latest droopy me-too effort is at sciencealert.com.au/features/20142309-26219.html. Here are the main points in bold face. Science-based responses are in Roman face. As for floods, the same report, confirmed by the Fifth Assessment Report, says there is no evidence of any global increase in the frequency, intensity, or duration of floods. As for droughts, Hao et al. (2014) show that the land area under drought has fallen slightly over the past 30 years. As for ocean “acidification”, the ocean remains pronouncedly alkaline, with a pH around 8 (where 7 is neutral and values below 7, such as the 5.4 for rainwater, are acid). Why is rainwater acid? Because it is the “missing sink” that scrubs CO2 out of the atmosphere. When the rainfall reaches the ocean, it locally alters the pH at the surface by a minuscule amount. However, where rivers debouch into the ocean (as the Brisbane River does just opposite the Great Barrier Reef), pH can vary locally by large amounts: yet calcifying organisms thrive nevertheless. The oceans are strongly buffered by the basalt basins in which they lie: so our capacity to alter the pH of the oceans by our tiny alteration of the composition of the atmosphere is as near nil as makes no difference. And there is no global measurement network for ocean pH, for two reasons: first, no automated pH measuring device has proven successful; and secondly, notwithstanding the propaganda everyone in the field knows perfectly well that ocean pH is not going to change very much, and that, even if it did, calcifying organisms are well adapted to dealing with it. As for sea-level rise, the GRACE gravitational-recovery satellites showed sea-level falling from 2003-2009 (Cazenave et al., 2009). The Envisat satellite showed sea-level rising by a dizzying one-eighth of an inch during its eight-year lifetime from 2004-2012. The intercalibration errors between the Jason-Topex-Poseidon laser-altimetry satellites are greater than the sea-level rise they pretend to find. Sea level is probably not rising any faster in this century than it did in the last: and, since there has been no global warming for almost 18 years, there is no particular reason why it should be rising at all. 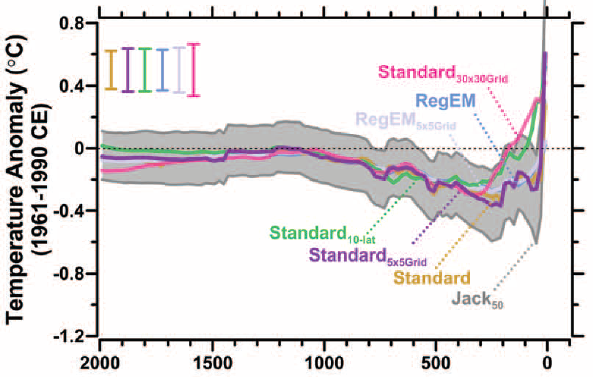 A telling comparison between the reconstructed sea-level changes shown in Grinsted et al. (2009) and the schematic showing surface temperature change in IPCC (1990) indicates that sea-level was 8 in. higher than the present in the medieval warm period and 8 in. lower than the present in the little ice age. “13 of the last 14 years have been the warmest since records began”: This, too, is an unscientific statement. 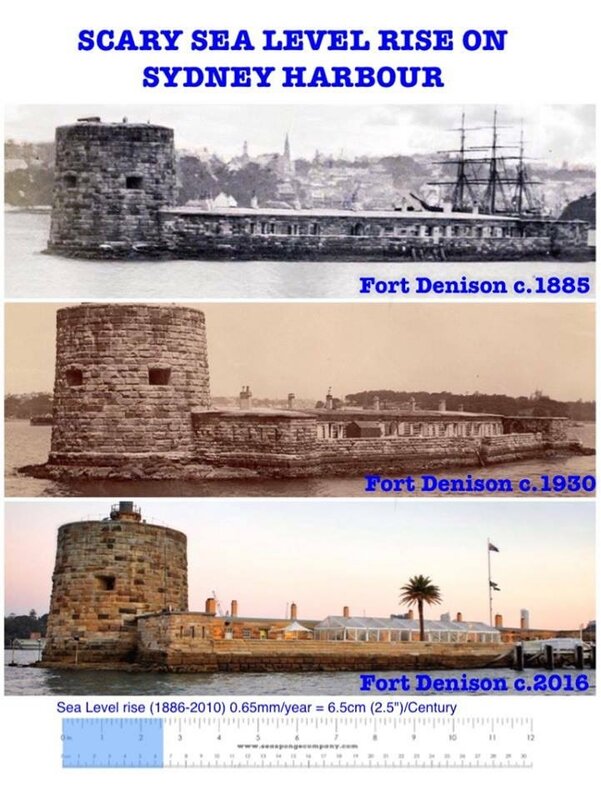 Records began only in 1850. And, like it or not, there has been no trend in global temperatures for about 13.5 years on the mean of the terrestrial records and on the mean of the satellite records. Yet CO2 concentration has continued to rise at record rates. Absence of correlation necessarily implies absence of causation. The rising CO2 concentration cannot be causing the lack of warming evident over the past couple of decades. “Not only Arctic but also Antarctic sea ice volume is declining”: Not a good moment to run this argument, given that satellites do not do a very good job of estimating ice thickness, but are at present showing a record high sea-ice extent in the Antarctic, a substantial recovery of Arctic ice even in the summer, and no appreciable change in global sea-ice extent throughout the 35-year satellite record. “The Sun is dimmer, but temperatures are rising”. The Sun is indeed becoming less active, but global mean surface temperature is not rising. It is not falling either. Perhaps the modest decline in solar activity is being offset by a modest forcing from the additional CO2 we are adding to the atmosphere: if so, then the CO2 forcing is substantially less than the IPCC imagines. Indeed, Professor David Douglass of Rochester University has recently asked me an interesting question: has anyone attempted empirical measurements, rather than modeling, to determine the CO2 forcing? Please let us know in comments if you are aware of any atmospheric measurements on the basis of which the CO2 forcing has been quantified. The value in the IPCC’s recent documents was determined by inter-comparison between three models, and, given the lamentable performance of models in every other field of climate prediction, perhaps Professor Douglass has a point. “We add 30 GTe CO2 each year, but Nature adds 780 GTe: however, Nature also takes away 780 GTe, so our net effect is to increase CO2 in the air.” Not quite right. We emit 35 GTe CO2 each year at present, but only half of this remains in the air: the rest is scrubbed out by rain or taken up by the ocean, trees and plants. 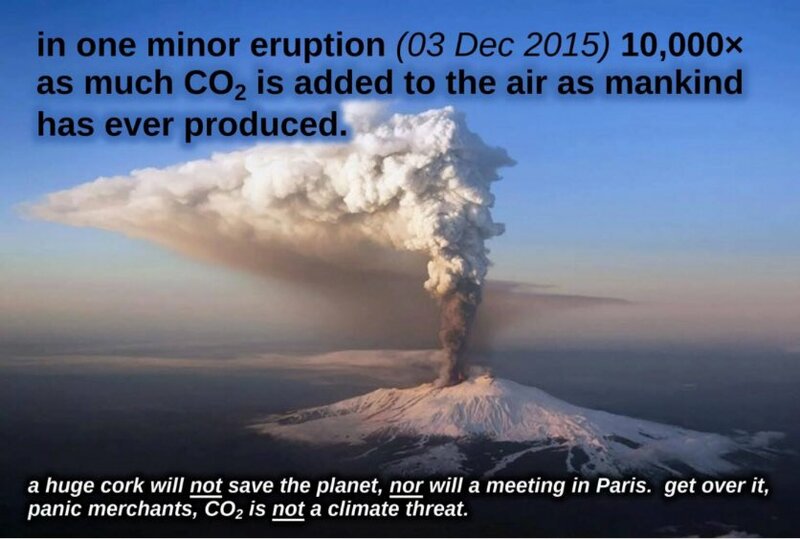 Nor is it wise to assume a pre-existing balance of CO2 sources and sinks. Close examination shows considerable annual variations in the net CO2 increase in the air, suggesting that our monotonic influence is a rather small part of the picture. “We know the CO2 remaining in the air is substantially manmade because fossil-fuel CO2 has less carbon-13 than the air, and the carbon-13 fraction in the air is falling”. The difference between fossil-fuel carbon-13 content and general atmospheric CO2 content is not as great as was once thought, and the carbon-13 content in the air is falling very slowly. This method of attribution is fraught with measurement and coverage uncertainties. “The concentration of water vapor, the most potent greenhouse gas, is increasing, causing a positive feedback”. Not all records show the water vapor increasing, particularly in the crucial upper to mid troposphere. The “positive feedback” may even be a negative feedback. If water vapor were causing a strong positive feedback, global temperature should have risen at least as fast as the IPCC predicted in 1990, but it has risen only half as fast, leading the IPCC almost to halve its medium-term predictions of global climate change. “CO2 lagged temperature change in the paleoclimate, but it acted as a reinforcing or positive feedback once the Milankovich cycles had triggered temperature change, amplifying it 9-fold”. Given the many uncertainties in paleoclimate analysis, no firm conclusion can be drawn as to the magnitude of the CO2 feedback. The IPCC’s Fourth Assessment Report put it at 25-225 ppmv per Kelvin – an order-of-magnitude interval that shows very clearly how unwise it is to assume that CO2 was the main reason for temperature change in the paleoclimate. After all, during the Neoproterozoic era 750 million years ago, equatorial glaciers came and went twice at sea level. There are no equatorial glaciers at sea level today. Yet today, to the nearest tenth of one percent, there is no CO2 in the atmosphere at all. Now contrast the fact-based responses to the goofy scare stories of the “myth-busters”. If the news media had been willing to print facts instead of extremist predictions, the general population – and the scientifically illiterate politicians who represent them – would be in a better position to judge for themselves whether to be scared about manmade global warming. On the real-world evidence, there is no longer any legitimate pretext for fear, and still less for the “climate action” that that needless fear engenders. And should not Ban Ki-Moon, having relentlessly ignored facts such as those briefly set out here, resign forthwith and for aye? He abandoned the impartiality that his office demands and took sides with communists and kooks by participating in the fatuous New York useful idiots’ climate march. He must go – and the U.N. with him. What little use it had has gone. When one of an organisation’s founders dumps on it, you know it’s gone off the rails. The concentration of CO2 in the global atmosphere is lower today, even including human emissions, than it has been during most of the existence of life on Earth. The global climate has been much warmer than it is today during most of the existence of life on Earth. 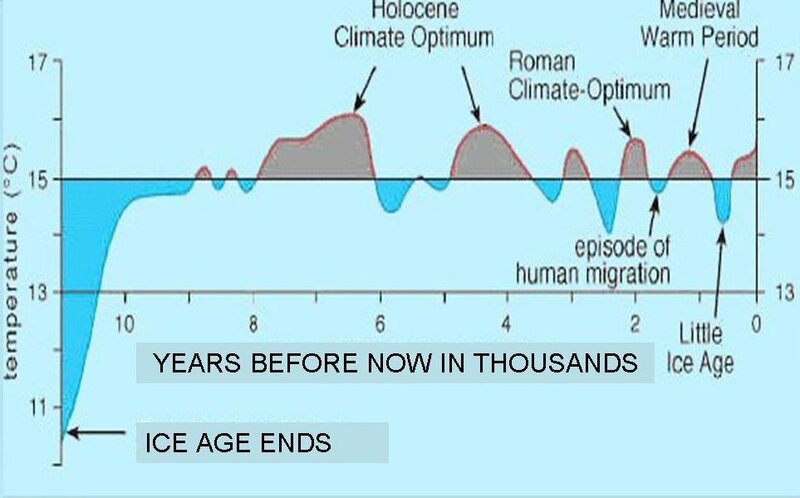 Today we are in an interglacial period of the Pleistocene Ice Age that began 2.5 million years ago and has not ended. There was an Ice Age 450 million years ago when CO2 was about 10 times higher than it is today. Humans evolved in the tropics near the equator. We are a tropical species and can only survive in colder climates due to fire, clothing and shelter. CO2 is the most important food for all life on earth. All green plants use CO2 to produce the sugars that provide energy for their growth and our growth. Without CO2 in the atmosphere carbon-based life could never have evolved. The optimum CO2 level for most plants is about 1600 parts per million, four times higher than the level today. This is why greenhouse growers purposely inject the CO2-rich exhaust from their gas and wood-fired heaters into the greenhouse, resulting in a 40-80 per cent increase in growth. If human emissions of CO2 do end up causing significant warming (which is not certain) it may be possible to grow food crops in northern Canada and Russia, vast areas that are now too cold for agriculture. Whether increased CO2 levels cause significant warming or not, the increased CO2 levels themselves will result in considerable increases in the growth rate of plants, including our food crops and forests. There has been no further global warming for nearly 18 years during which time about 25 per cent of all the CO2 ever emitted by humans has been added to the atmosphere. How long will it remain flat and will it next go up or back down? Now we are out of the realm of facts and back into the game of predictions. 3. There was an Ice Age 450 million years ago when CO2 was about 10 times higher than it is today. 4. Humans evolved in the tropics near the equator. We are a tropical species and can only survive in colder climates due to fire, clothing and shelter. 5. CO2 is the most important food for all life on earth. All green plants use CO2 to produce the sugars that provide energy for their growth and our growth. Without CO2 in the atmosphere carbon-based life could never have evolved. 6. The optimum CO2 level for most plants is about 1600 parts per million, four times higher than the level today. This is why greenhouse growers purposely inject the CO2-rich exhaust from their gas and wood-fired heaters into the greenhouse, resulting in a 40-80 per cent increase in growth. 7. If human emissions of CO2 do end up causing significant warming (which is not certain) it may be possible to grow food crops in northern Canada and Russia, vast areas that are now too cold for agriculture. 8. Whether increased CO2 levels cause significant warming or not, the increased CO2 levels themselves will result in considerable increases in the growth rate of plants, including our food crops and forests. 9. There has been no further global warming for nearly 18 years during which time about 25 per cent of all the CO2 ever emitted by humans has been added to the atmosphere. How long will it remain flat and will it next go up or back down? Now we are out of the realm of facts and back into the game of predictions. Moore makes his remarks in the foreword to a new book by bestselling Australian geologist Dr Ian Plimer called Not For Greens. The book describes the various, complex industrial processes which go into the making of just a single teaspoon, starting with the mining of various metals. One of the founders of Greenpeace has now had a Damascene Conversion. Congratulations. You have summarized extremely well for a lay audience what the facts are concerning the ‘man made global warming’ problem and identified those who would profit most from the climate scam. I agree population has risen rapidly in the last century however the UN’s own figures indicate that rate will fall rapidly in mid century and global population will stabilize at under 10 billion. My colleagues at Principia Scientific International – who have been studying in depth those natural resource ‘shortages’ we face – are of the opinion that human ingenuity, as it has always done, will solve this perceived problem. We are in no doubt that our planet has the hydrocarbon reserves to last at least another 150+ years while the ‘theories’ about ‘fossil fuels’ and ‘peak oil’ are frankly the products of Malthusian junk science. PSI is soon to publish an important paper on this. since when my readership total increased by 1,562 with no further comments received. Not that this ‘proves’ anything, but can’t be a bad thing (from my point of view). Where Does the Carbon Really Come From?Professor Ian Plimer could not have said it better! If you’ve read his book you will agree, this is a good summary. We have to be careful to distinguish between latent heat and trapped heat, particularly in the sense that Anthropogenic Global Warmers use the term. Latent Heat is used most often, following Joseph Black, to describe the change of state from ice, a solid, to water, a liquid, to steam, a gas (water vapour), which are all chemically of the same composition. In order to clarify the difference to ourselves we may buy at a Supermarket a bag of ice. Let us open the bag and pour the contents into a large saucepan, put it on the stove, light the gas. Having applied x calories of heat the ice rapidly turns to water – it has changed from a solid to a liquid, chemical composition H2O. If I continue to heat this pan of water until 100C, the water will turn to steam, a gas.Steam and water vapour are one and the same, except that the concentration in the atmosphere differs. Steam is clearly visible to the naked eye, whereas water vapour istransparent, though it can be seen on summer mornings as dew rising from the grass. It is notable that steam rapidly loses its heat and quickly condenses. This demonstrates the volatility of gases. Hot water on the other hand will retain its heat for a long period compared to the gas, demonstrating heat capacity. Of course, steam can be used to drive turbines and steam engines – the beginning of railways and the industrial age. We can use a bag of ice in order to learn about the Arctic. If we keep the bag in a cold store where the temperature is rarely if ever above zero C. the ice will barely melt at all. However put the same bag of ice in a bowl of tepid water, the ice will melt rapidly. 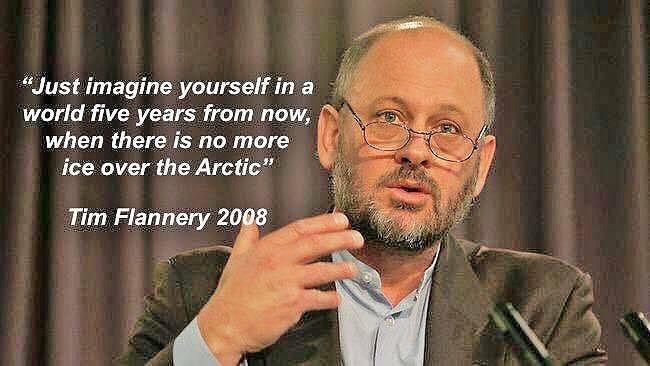 This shows that Arctic Ice will melt, not from the atmosphere, as the AGWs seem to think, but as the result of warm currents of water. The AGWs use the analogy of sunlight on a stationary car, with windows closed. They aver correctly that the temperature within the car will rise, and they call this ‘trapped heat’. What they omit to add is that this rise of temperature will only occur and continue while heat is being generated. Once the Sun goes down the heat rapidly disperses. This demonstrates that all sensible heat has to be generated, that such heat is never trapped, but is either being generated or being dissipated. There is no steady state. In particular, there is no way that Carbon Dioxide can trap heat – such an idea is bizarre! Here I hope I have demonstrated the difference between latent heat and sensible heat in a way that is comprehensible to the layman. At Climate Audit, Something odd has been discovered about the provenance of the work associate with the Marcott et al paper. It seems that the sharp uptick wasn’t in the thesis paper Marcott defended for his PhD, but is in the paper submitted to Science. Reader ^ drew our attention to Marcott’s thesis (see chapter 4 here. Marcott’s thesis has a series of diagrams in an identical style as the Science article. The proxy datasets are identical. However, as Jean S alertly observed, the diagrams in the thesis lack the closing uptick of the Science. Other aspects of the modern period also differ dramatically. Here is Figure 1C of the Science article. The differences will be evident to readers. In addition to the difference in closing uptick, important reconstruction versions were at negative values in the closing portion of the thesis graphic, while they were at positive values in the closing portion of the Science graphic. I wonder what accounts for the difference. This story just got a lot more interesting. I wonder if we don’t have a situation like with Yamal, and sample YAD06 which when included, skewed the whole set. Perhaps there was some screening in the thesis and that didn’t include part of the proxy datasets, or later for the Science paper maybe there was some Gergis sytyle screening that made hockey sticks pop out. It might also be some strange artifact of processing, perhaps some Mannian style math was introduced. Who knows at this point? All we know is that one paper is not like the other, and one produces a hockey stick and the other does not. Some additional detective work is sorely needed to determine why this discrepancy exists and if anyone in the peer review process asked any similar questions. This is deeply concerning. Are YOU aware of it ? It effects Britain. Subject: Re: BBC Bias / Climate Change Volcanos and CO2? There are indeed several solar cycles, including those of 11 years and 22 years, and these are the ones most closely linked to weather. Referring also to the separate email headed ‘Carbon’, the linkage between solar magnetic activity and cosmic ray penetration to the lower atmosphere, affecting cloud formation, is only one part of the story. Solar magnetic activity such as solar flares also has a direct impact on the track of the jet stream, which is what determines whether we have a cold or mild winter, warm or cool summer, and so on. It is an understanding of these connections that allows Piers Corbyn to produce long-range forecasts with an accuracy of around 85% ( www.weatheraction.com). His predictions of extreme weather events, not just in the UK but around the world, are particularly impressive. These have absolutely nothing to do with atmospheric CO2 concentrations and are driven entirely by the sun. The moon also has an influence – its orbit around the earth does not follow precisely the same track each time (otherwise we would have a solar eclipse every month, or never). As the moon passes between the earth and the sun it modulates the solar wind, the stream of charged particles coming from the sun, thus affecting its impact on the jet stream. This is also taken into account by Piers Corbyn in his forecasting. While the majority of ‘sceptics’ accept the existence of a greenhouse effect, others question it. The greenhouse hypothesis was first postulated about 200 years ago to explain the apparent anomaly between the earth’s measured temperature and what it should theoretically be, calculated on the basis of ‘black body’ radiation theory. It was assumed that the difference must be due to an atmospheric ‘greenhouse’ effect. We now know, however, that the average temperature of the moon is also greater than it should theoretically be. Since the moon has no atmosphere, it cannot of course have a greenhouse effect. The difference is in reality due to false assumptions of the black body approach when applied to a real planet. Another factor to be aware of is that rising CO2 levels lead to an increase in plant growth (which is why market gardeners raise the CO2 level in their greenhouses to 1,000 ppm or even more). Faster growth means more water is sucked into the plants and then evaporates from the leaves. The evaporation process requires latent heat, which is drawn from the atmosphere, thus cooling it and at least partially negating any increase in temperature from CO2, if there is one. It is a very compex and fascinating subject. A former Cabinet Minister faces investigation over his business interests after The Mail on Sunday revealed that he stood to benefit from the advice he gives to the Government on climate change. John Selwyn Gummer, an Environment Secretary under Margaret Thatcher, is chairman of the advisory Committee on Climate Change (CCC), which advises Ministers about reducing greenhouse gas emissions and replacing fossil fuel with ‘renewable’ energy. But Lord Deben, as Mr Gummer is now, chairs a £500 million company called Veolia Water UK, which also works in the energy sector. He told MPs it did no energy-related business and dealt only with water. If it had ‘even a remote connection’ with the environment or climate change, he promised, he would step down. In fact, Veolia boasts on its website of supplying ‘large electrical grid connections for renewable energy producers’, and illustrates this with a large photograph of wind farms. Varying fears: In 1977 we were warned of the ‘next ice age’, now we are warned that the planet is getting dangerously hot. But he now says: ‘The odds have come down,’ adding that warming is likely to be significantly lower. The graph confirms there has been no statistically significant increase in the world’s average temperature since January 1997 as this newspaper first disclosed last year. In the Seventies, scientists and policymakers were just as concerned about a looming ‘ice age’ as they have been lately about global warming as the Time magazine cover pictured here illustrates. The current Energy Bill is set to increase subsidies for wind turbines to £7.6 billion a year leading to aa combined cost of £110 billion. Motorists will soon see a further 3p per litre rise in the cost of petrol because this now has to contain ‘biofuel’ ethanol. Many scientists say the pause, and new research into factors such as smoke particles and ocean cycles, has made them rethink what is termed ‘climate sensitivity’ how much the world will warm for a given leveel of CO2. This graph shows the end of the world isn’t nigh. But for anyone like myself who has been vilified for holding such an unfashionable view, possibly the most important thing about it is its source: the United Nations’ Intergovernmental Panel on Climate Change (IPCC). But the scientists behind the theory have a vested interest it’s a great way to justify new taxes, get more money and guarantee themselves more work. Its like you learn my thoughts! You appear to understand so much approximately this, such as you wrote the e-book in it or something. I think that you simply could do with some % to drive the message home a bit, but instead of that, this is wonderful blog. An excellent read. I will certainly be back. A good physical theory is one which fits the facts of experimental observation. AGW theory, although superficially plausible has never met that criterion. Anyone who takes the trouble to check the data will find that, in the past, changes in global temperature have preceded rather than followed corresponding changes in atmospheric carbon dioxide levels. This single fact is, to my mind at least, sufficient to demonstrate that AGW theory is flawed. What do I know about it? Not much, not being a professional scientist, but I did study Experimental Physics at Cambridge (under Brian Pippard) and got a reasonble kind of degree, so I feel that I can claim to be qualified to comment. Of course, not being a professional scientist, I am not paid to have a politically correct opinion!